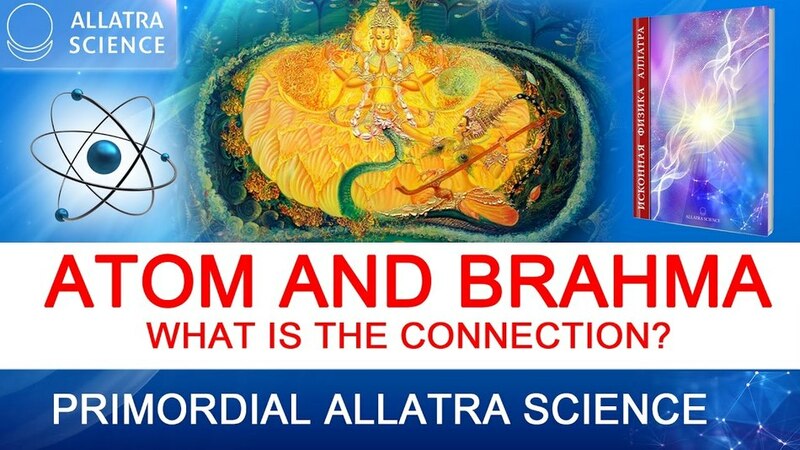 Atom and Brahma. What is the connection? In the East people know about indivisible particles from the earliest times. People had the view that the world consists of "Great emptiness", "Po grains" due to the spiritual knowledge that existed for thousands of years before the time, when, according to modern views, the "founder" of atomism, ancient Greek philosopher Democritus (apprx. 460 BC ‒ 370 BC) popularized in Greece the teaching, which was known in the East, about existence of the smallest invisible particles of which all surrounding subjects consist.Such fundamental indivisible particles were called atoms in ancient times. In the East people know about indivisible particles from the earliest times. People had the view that the world consists of "Great emptiness", "Po grains" due to the spiritual knowledge that existed for thousands of years before the time, when, according to modern views, the "founder" of atomism, ancient Greek philosopher Democritus (apprx. 460 BC ‒ 370 BC) popularized in Greece the teaching, which was known in the East, about existence of the smallest invisible particles of which all surrounding subjects consist.Such fundamental indivisible particles were called atoms in ancient times. The ancient understanding of atom as the foundation of the Universe was qualitatively different from the modern understanding in which atom is only called the smallest part of chemical element. It is known that the Ancient Greek word "atomos" (Greek άτόμος) means literally "indivisible", that is, a particle which can not be di-vided into smaller parts. This concept came to Ancient Greece from the East. For example, in Ancient India there was a word Atman (also Atma) to denote "one and indivisible". In Sanskrit, there is also such a concept as "anu". In Sanskrit the word "anu" ("atom") is a title of the supreme creator ‒ Brahma (the word "Brahma", translated from Sanskrit, means "sacred power, which gives effect"), which is said to be the smallest atom. It is a sign that the soul (god essence) is tranmitted eternally forward. Which suggests that it is eternal. We can merge, or marry, our (emptied or purified) personality (the son) with the essence to become One with this God essence (The Father). Basically meaning our "salvation" is the transformation of our division back into a whole. Looking at the pyramid as a map of our energy. Shown in the other video as becoming undivided and whole again. Giving the ability to transmit ourselves into other dimensions. This is an oversimplification of our goal but it does not need to be more complicated.